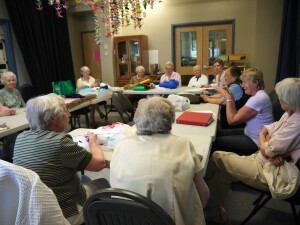 The Studio group meets on Wednesdays from 1:30 – 4:00 pm in the Studio. This socially innovative, enterprising cool group of visionary, creative artisans continue to produce a prolific number of tasteful, imaginative, and stylish items. All items are priced and stored for sales, once or twice a year. We are inspired by our creative leaders – ourselves. Money raised at the sales is used to purchase materials for the group, as well as contributing to CB55+ funds. Tea and treats are served. Please call Maura Dunn at 250-652-2650 or mauradunn8@gmail.com for more information.